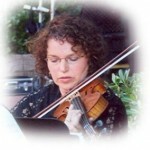 Julie Ivanhoe (violin) has played in ensembles and orchestras since childhood. Julie has a Bachelor of Music in Instrumental Music Education K-12 and a Bachelor of Music in Music Therapy. Julie has taught orchestra in the Chandler Unified Schools for over 26 years. She has also taught private violin and viola lessons on and off for 21 years. 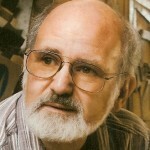 Kerry Vesper (flute, clarinet, saxophone) has been playing since his Tempe High School Band days in the 1960s. He currently plays in community college jazz bands, Latin bands and combo classes, a klezmer band and another Shabbat band.